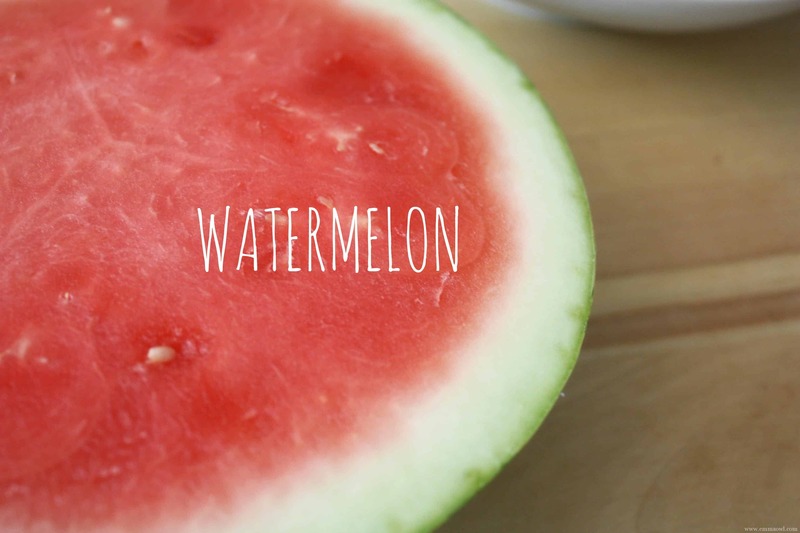 Sometimes the Best things are the most simple! 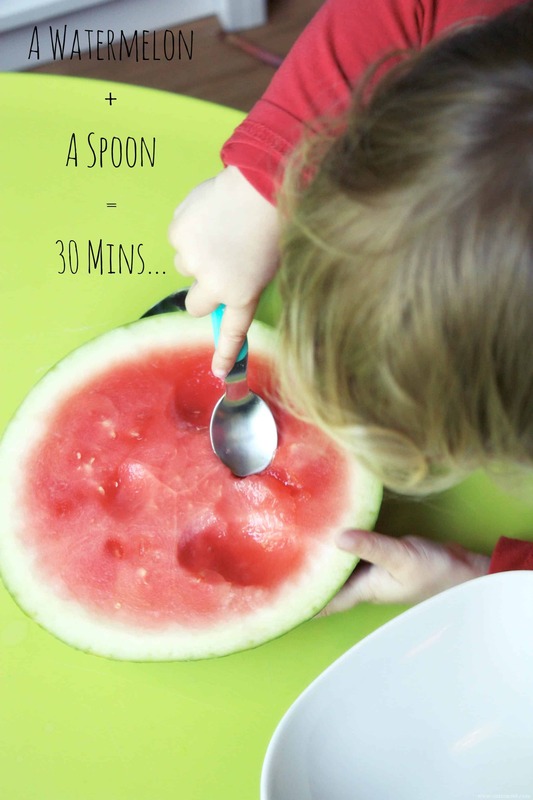 That’s all you need for this easy – fun – yummy activity!! There’s 30 minutes worth of eating play here!! 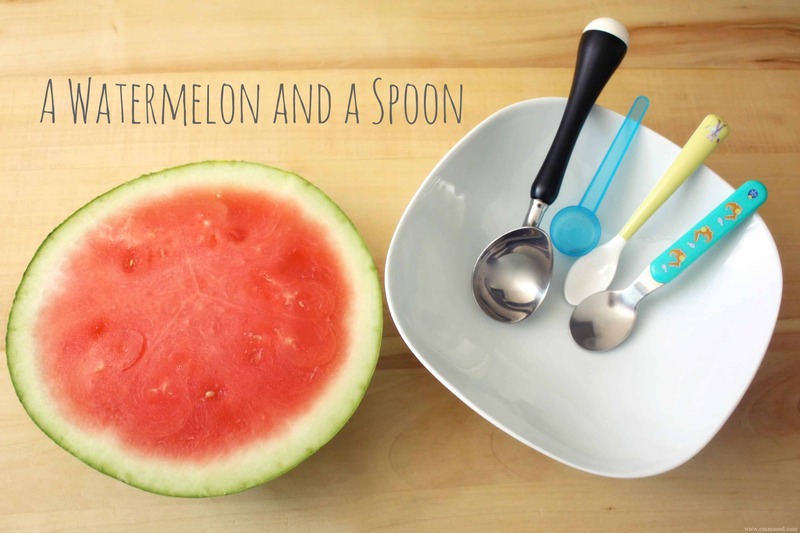 I selected a few spoons, different shapes and sizes and cut the top third off our watermelon. Emma excavated her lunch one piece at a time! 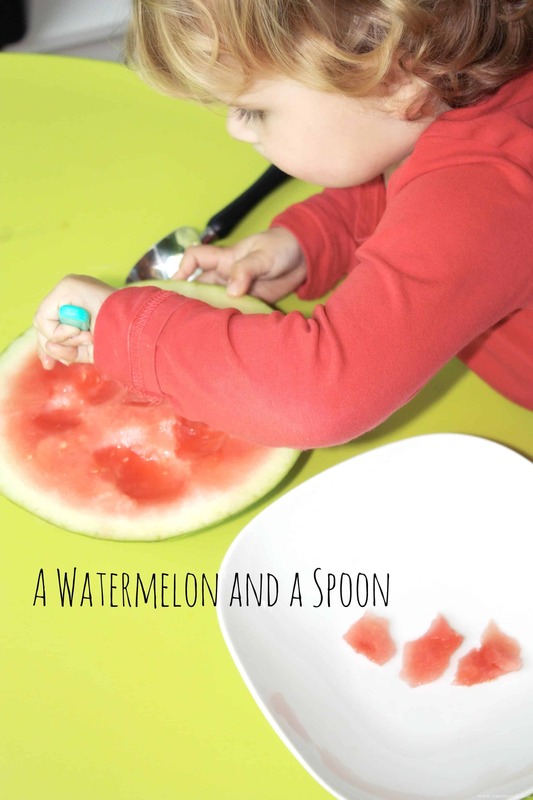 She tried all the different spoons, but eventually settled on her favorite, the one she could hold the tightest and scoop the biggest chunks out with!